Sweet Sadie's Baking: The Bread Baker's Apprentice Challenge! A few years ago, Dan and I were in Florenceville, New Brunswick visiting the family - Susan, Colin and our nephews, Sam and Jack. Colin served his homemade bread for breakfast. It not only tasted great, it seemed more special because he baked it! Every week Colin bakes bread – I think about 5 loaves for the week. 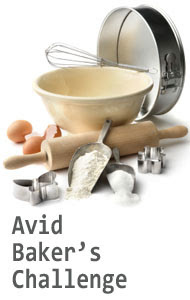 I was envious – bread making takes time and I felt that I couldn’t manage it. I seemed to have no time on weekends. I was running around- grocery shopping, meeting friends, picking up this and that …just running here and there. But I wanted to slow down… have more balance in my life…so when I returned home to Toronto, I started my ritual of baking bread. I decided Sunday was my day for baking. Bread is not difficult to make, but you need to be around for the rising, shaping, baking and so on and so on. I made a commitment to stay around the house – no shopping or meeting friends (unless they came over). This would give me time to relax and do some gardening, reading, knitting and whatever… it would be my time. I started reading everything about bread that I could get my hands on. I love making bread...watching it react with the yeast, kneading it with my hands, the incredible smell of it baking and finally tasting it and watching the faces of others when they taste it. 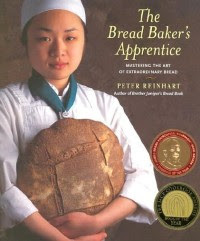 There are many great bread books and bread bakers out there, but if I had to choose one bread book to have in my kitchen, it would definitely be The Bread Baker's Apprentice: Mastering the Art of Extraordinary Bread by Peter Reinhart. It is my bread bible. Over time, a couple of bread baking semesters at George Brown College and many many loaves, I am much more confident. In fact I have had the pleasure of being one of Peter Reinhart’s army of recipe testers for his new book "Peter Reinhart's Artisan Breads Everyday". Watch for it because the breads are absolutely wonderful. When Nicole from A Pinch of Salt announced a challenge to attempt every recipe in the Bread Bakers Apprentice, I immediately signed up. 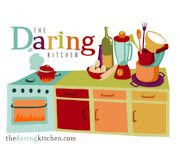 I hope you will follow along and maybe join us in our virtual kitchens. The journey begins with the Anadama bread...stay tuned! It's great to have you along! The Anadama is just resting now so I hope to post tonight. You are right about the challenge being a more relaxed group...I like it.